This game sees the Polish champions playing host to the champions of Lithuania and this will be the very first time that these two teams have met. 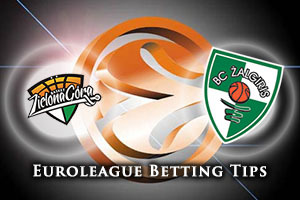 The Polish side were absent from the Euroleague last season so they will be keen to make up for lost time, but both of these teams will consider this to be a match that is winnable and which can provide them with the ideal platform for the new campaign. There should be a number of Euroleague debuts being made in the home team with Kamil Zywert, JR Reynolds, Marcel Ponitka, Karol Gruszecki, Nemanja Djurisic and Dee Bost all getting off the mark. One player who has been absent from the Euroleague since 2005/06 is Szymon Szewczyk, who last appeared in the tournament for Union Olimpija Ljubljana. However, it is players like Adam Hrycaniuk and Vlad Moldovenau who will likely be the key players for the Russian side as they go aiming for Euroleague glory in round 1 of the regular season. Kaunas know that there is a considerable level of pressure on them to achieve success and appease the demands of the Lithuanian loving basketball fans that they play in front of, but they have some players who have shown they have the experience required to deal with pressure situations. Paulius Jankunas is looking for 5 three point shots to grab 100 points in the Euroleague and Renaildas Seibutis has made his last 16 free throws in the Euroleague. There could be Euroleague debuts for Brock Motum and Olivier Hanlan. 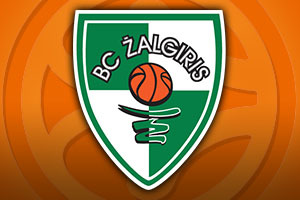 Kaunas are the more hotly tipped team at the bookmakers and you can see that taking Zalgiris Kaunas with a -3 handicap, at odds of 1.90, is likely to be a decent bet for Friday evening. There is also the Over/Under market to consider and you should look to go UNDER 156.5 at odds of 1.90. Bet Now!